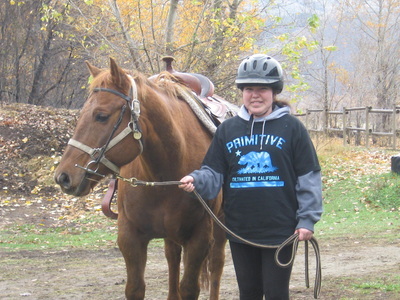 "Riding horses at the Kamloops Therapeutic Riding Centre makes me feel brave and confident." "As a Recreation Therapist at South Hills I can attest to the value of this program. The smiles on their faces really says it all! All the participants have looked forward to this over the years and when they are done will often say “ I miss going there.” or “it really made my day.” “ Or it helped me so much.” “ it calmed me down.” “ It gave me meaning.” These are just a few of the many positive reviews. We had people that very rarely would smile and they were observed smiling throughout the program. 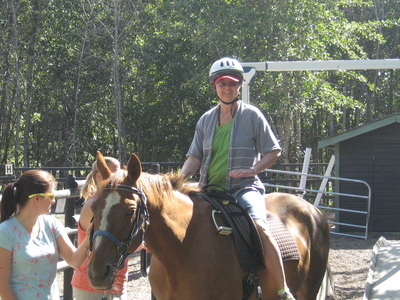 The horses bring a real sense of calm and meaning to their lives." "Physically, she has gained strength in her core and legs and this has resulted in improved posture and endurance. Mentally and emotionally, she has gained confidence from being able to control such a large animal and make it respond to her commands as well as from enjoying success at the horse show. She remarked after that it was the first ribbon she had ever won in her whole life! 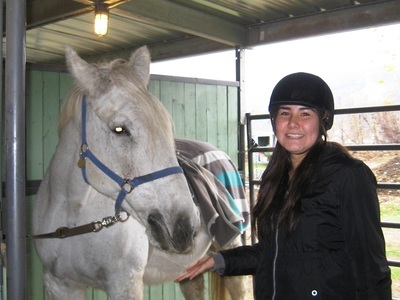 Socially, she chats away with the instructors and classmates and has found a sense of community with the gang on her day. Thanks so much for all you do!"